Super Mario Party comes out on Friday. It’s the series’ debut on Switch and the first main entry since 2015’s ill-fated Mario Party 10 on Wii U. It has 80 new mini games, one of which even utilizes multiple Switches to create a shared, continuous screen. What it doesn’t have is handheld mode support, the first in a handful of Switch games this fall with hyper-specific controller demands that seem to run counter to the spirit of the Switch’s “play anywhere” mantra. Super Mario Party supports up to four players locally, just like the first game did on the Nintendo 64 when it released in 1998. Whether docked and outputting to a TV or simply sitting with the kickstand out on a table top, you can play solo or with friends with everyone using their own Joy-Con. As confirmed on the game’s Japanese web page, it doesn’t support the use of the Switch Pro controller or dual Joy-Cons mounted to the screen in handheld mode. In theory this is because various mini games require the Joy-Con’s HD Rumble and gyroscope features, but in practice it means the game can’t be played while on the go with ease. This might be a small quibble in the grand scheme of things, but as someone who plays most of their Switch games during their commute and who is one of Mario Party’s few remaining diehard fans, it’s frustrating. And it’s not the only game coming out in the next few months that seems to be struggling with how to adapt to the Switch’s portability. 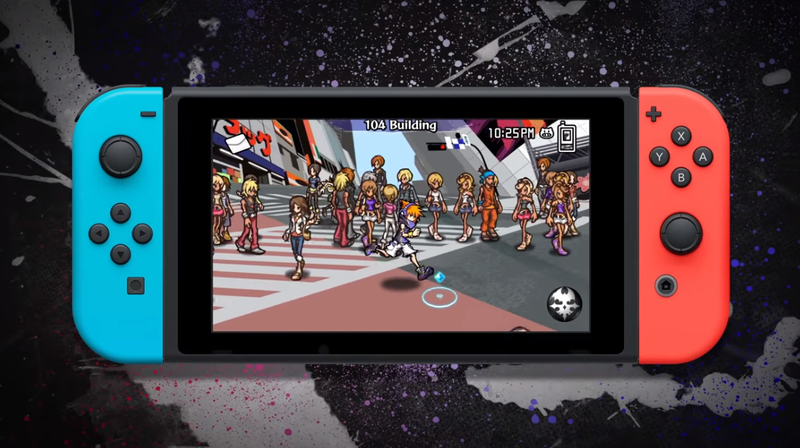 The World Ends With You: The Final Remix comes out on October 12 and apparently only allows touch controls while in handheld mode. According to the game’s Nintendo webpage, the game offers Joy-Con controls or touch controls, but seemingly not a combination of the two.. 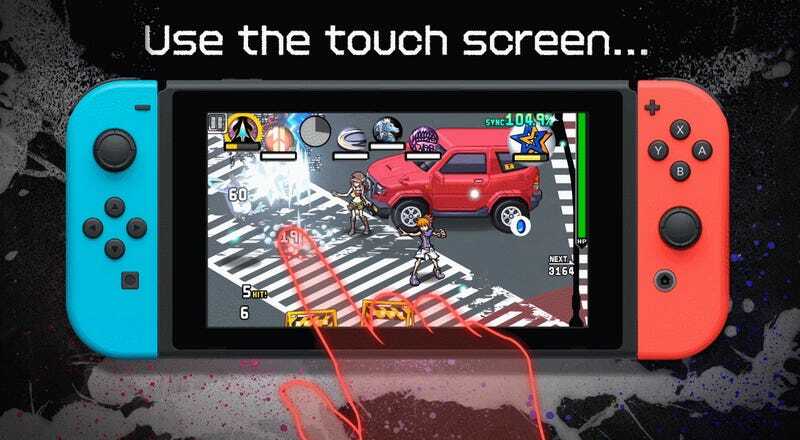 When the original released on the DS in 2007, a combination of face-button and touch controls were used so that players could direct the game’s two main characters simultaneously. The new version of the game apparently offloads this hybrid approach entirely, with users in Japan—where the game is already out—noting that the Joy-Con controls stop registering once they’re attached to the Switch. Unless the North American version is drastically different in some way, which based on reports from when the game was shown at PAX West it doesn’t, this means that in handheld mode it plays similar to the iOS port but with additional story content and a few other extra features. Pokémon: Let’s Go, Eevee & Pikachu, which come out the month after, also have something wonky going on with the standard controls. While the game does not require motion controls to catch Pokémon, motion controls are utilized and can’t be turned off, a spokesperson for the Pokemon Company confirmed to IGN last week. The company pointed out that using motion controls won’t impact people’s ability to catch Pokemon, but the video it showed to IGN to demonstrate this apparently showed someone playing the game in handheld mode with the Switch placed flat against a table, making it still unclear whether there’s any way to avoid motion controls altogether. (Splatoon 2 works in a similar way in handheld mode but in that game, there’s an option to turn them off.) Kotaku reached out to Nintendo to try to clarify the quirky control schemes in each of these cases and the reasoning behind them, but the company did not respond. Nintendo’s commitment to exploring new ways to play games is admirable, but the lack of options for defaulting to more traditional methods reminds me of the company’s refusal to make The Legend of Zelda: Skyward Sword playable without motion controls. Coming out late in the Wii’s life in 2011 no doubt didn’t help the game’s poor sales, but its unrelenting reliance on swinging your arms around to solve puzzles and defeat enemies probably didn’t help either. Even now I’d love for an HD remaster of it to get ported to Switch, but not if it can’t be played in handheld mode. Metroid Other M is perhaps the most infamous example of an otherwise interesting game hamstrung by weird control requirements. Its makers wanted the game to be easy to play, so they decided to make it utilize only the Wii Remote, ignoring the nunchuck portion and its thumb stick. The result was clumsy and scared a number of people off trying the game. “Remote-only would have been fine as a default, but the game would have controlled better, and elicited less frustration, if it supported a second control scheme for those of us who prefer to do things like control movement in three dimensions with an analog stick,” wrote Kotaku’s editor in chief Stephen Totilo in his 2010 review. While none of Super Mario Party, TWEWY: The Final Remix, or Pokemon: Let’s Go’s control limitations are that glaring, they carry a whiff of the same obstinacy. For the Wii, a home console who’s big selling point was motion controls, lack of control customization was perhaps more understandable, but given that the Switch is meant to be the system you can play anywhere however you like, I hope this new trend is just an aberration.